How to save money when traveling this holiday season? After reading my previous post on Why You Should Travel While You Are Young, many of my readers have emailed me to ask how they can save money when traveling. Our generation is in love with travelling. According to the Boston Consulting Group, 75% of Millennials want to travel abroad as much as possible, and 70 percent said they would like to visit all seven continents in their lifetime. The United Nations estimates that one in five international tourists are young people. At the same time, there is an urgent need for this group in Singapore to save money. Wages have definitely not risen as much as our cost of living. Let’s do a quick comparison with those who graduated in 2008. In 2008, the median starting salary was around $2400. In 2015, it was $2800. However, the cost of living has gone up much more than this minimal salary increase. Back in 2008, you can get a four- room premium flat in Punggol for $254,000. However, the prices for that type of flat now is around $350,000. That is a 37% increase in housing prices. And in 2008, the price of a COE is only $6200. Now, it is $56,000. That is an 8X increase. I love using Expedia Package and have done so for my trips to Harbin and Moscow. Expedia Packages enable you to save money when you book hotels and flights simultaneously. For instance, if I were to book a direct SIA flight to Moscow, it cost me about $1400. However, when I booked both a four star hotel and SIA flight to Moscow simultaneously, I only paid about $1600. What a steal! Besides Expedia, if you’re a student, you might also want to consider using STA Travel. According to Expedia’s recent report Preparing for Take-Off: Air Travel Trends 2015, the best time to book flights are Tuesday or at least, around mid-week. That’s the day that can save you as much as US$28 — versus booking on Saturday. 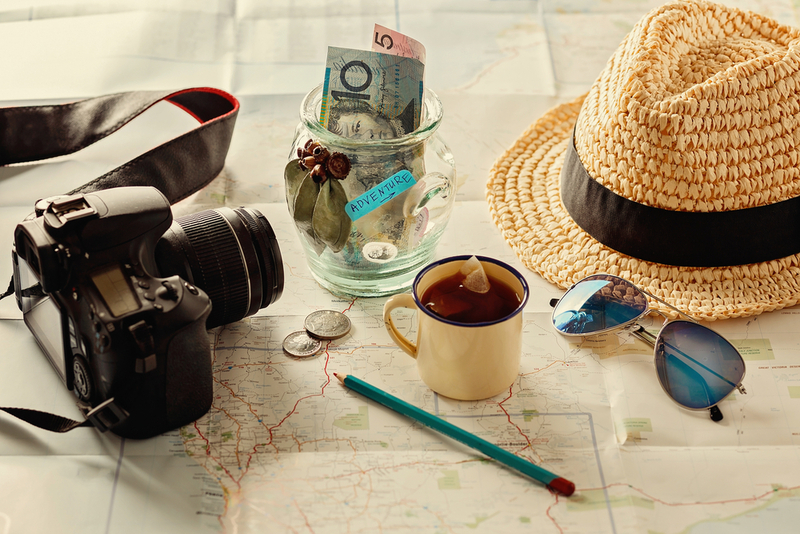 While some may think travel insurance is redundant, I consider it to be an absolute essential. Given that there are many travel insurance firms around, and the prices often change, it is often difficult to choose the right insurance package. In the past, I used Google to search for the right insurance package and would have to open several windows at once and scan through each insurance page website. However, thankfully, I managed to find GoBear – an unbiased insurance comparison platform which allows me to compare insurance packages and prices from various vendors. Go Bear is the first and only independent metasearch engine in the insurance sector in Asia. Check out their website here. Most European cities tend to have Free Walking Tours. You can find them just by googling “Free Walking Tour ‘NAME OF CITY’”. Whenever I visit a city, I would definitely sign up for these tours. This is because I enjoy learning about the stories behind a specific site and perspective of a local guide. Each tour is typically 2 hours and one can choose to tip the guide if he/she is good. At the end of the trip, they’d usually announce additional tours that you can sign up for. These other tours may be free or require payment. No hard sell. So far, all my experiences with these walking tours have been really amazing. The guides are funny, engaging and really well-informed. While the prices of virtually everything else have been getting more and more expensive, travel fees have been falling. This is thanks to the rising Singapore dollar against those from other countries. As a result, some destinations have become much cheaper to travel to than before. This includes: Australia, New Zealand, Malaysia, Japan, Russia and countries which use Euros. Most credit card users would know that banks and credit card companies take a profitable spread on the foreign exchange rate each time we use our credit card overseas. For example, if we use our Singapore issued credit cards in Indonesia, the banks will convert the Rupiah we have used to Singapore Dollar and charge us the amount in our next bill. If you are intending to use a credit card while overseas, always choose to pay in the local currency, NOT your home currency (i.e. If you’re travelling in Malaysia, pay in Ringgit not SGD). By paying in home currency, you are allowing the retailer to do the conversion for you. This allows them to use a conversion rate that might not be competitive at all. Finally, if you choose not to use your credit card and draw from banks instead, do remember that each withdrawal at an ATM subjects you to conversion fee, withdrawal fee and other costs. Thus, big withdrawals rather than many small withdrawals will help you save on these extra costs. If you think this post has been useful for you, do like and share it with your peers.